Gorgeous 3 bedroom townhome in Edgewater Place with attached 1 car garage. Features new neutral 2 tone paint throughout. 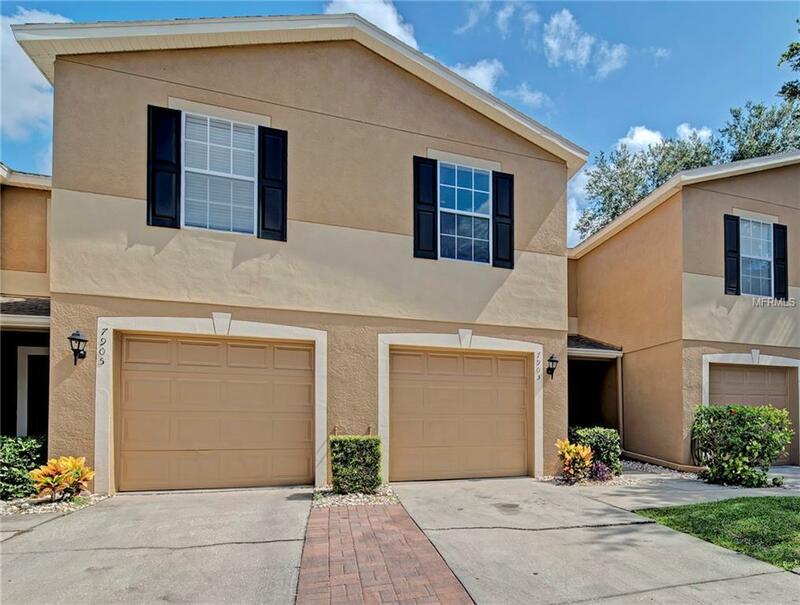 Charming gated Tampa community located close to schools, highways, and restaurants. Ceramic tile flooring at the entrance. Beautiful and durable vinyl wood look floors in main living areas. Large open living room/dining room combo off kitchen. Eat in kitchen offers matching appliances, pantry, and breakfast bar. Newly carpeted 2nd floor bedrooms. Rear sliding glass doors open to a patio for your enjoyment on those warm Summer days. A must see, you will love! !